If you have visited here or live here you probably already know that Lake Tahoe is arguably one of the most beautiful places in the world. It is also one of the worlds greatest outdoor playgrounds! But, before the creation of numerous ski resorts, hiking and biking trails, the north shore was home to the Sierra Nevada Wood and Lumber Company (SNW&L). In the late 1800s, they provided timber during the mining boom to the nearby Comstock Lode in Virginia City. The SNW&L transported its raw lumber via a wooden flume located 1600 vertical feet above the shores of Lake Tahoe. The path used for the wooden flume is now the setting for one of the most scenic and spectacular trails in the world. While the wooden flume has long since been disassembled, remnants can still be seen today along the trail. Max Jones, a two time National Mountain Bike Champion and Mountain Bike Hall of Fame Member, aware of its history, cleared and opened the Flume Trail for mountain biking and hiking in 1983. 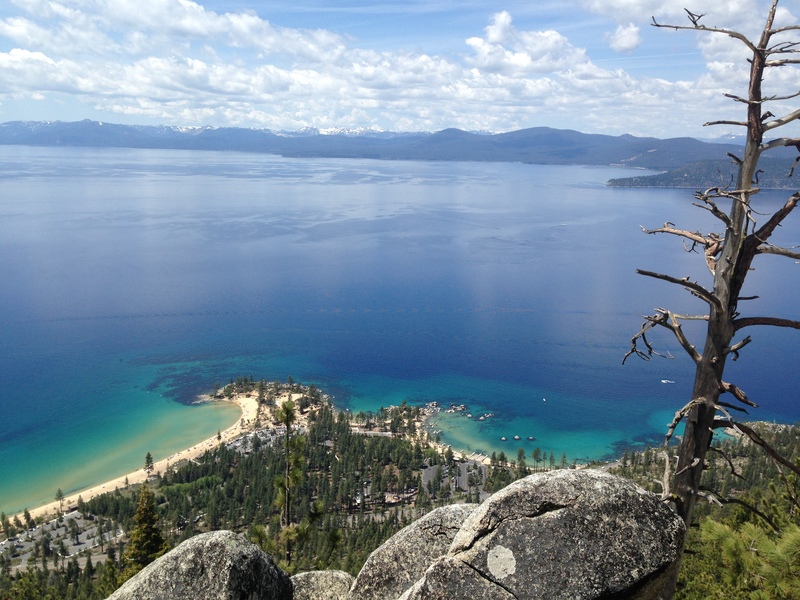 Since that time, the Flume Trail has become world renown for its jaw dropping views of Tahoe.